There's no shortage of fun things to do in and around Silicon Valley. 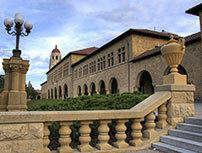 Stanford University is just 2 miles away, with must-see sights like the Rodin Sculpture Museum and Cantor Arts Center. Shop your heart out at Stanford Shopping Center. 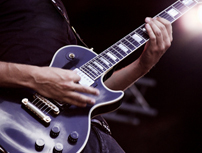 Catch a live show at Shoreline Amphitheatre in Mountain View, right outside Palo Alto. Wander history at Filoli Gardens. Or make the short 40-minute trip to San Francisco, one of the most loved, picturesque, and iconic cities in the U.S. and world. 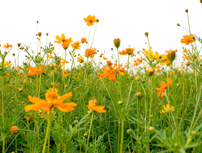 One of the best hospitals in the United States with ultra modern facilities that include Stanford Comprehensive Cancer Center, Hoover Pavilion, Blake Wilbur Building, Boswell Building, and an outpatient psychiatry facility. 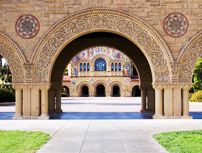 Not only one of the most renowned academic institutions in the world, Stanford also boasts incredible architecture, faculty, world-class hospital, and a breathtaking sculpture garden. A cornerstone in Bay Area entertainment, Shoreline Amphitheatre has hosted Lollapalooza, Ozzfest, and Vans Warped Tour, among other large-scale events. Shop 'til you drop at Stanford Shopping Center, an open-air retail space with gorgeous gardens beside large-scale stores like Macy's, Nordstrom, and Bloomingdales. A truly unique piece of local history, the 600-acre Filoli Gardens were designed to be self-sufficient with their namesake mansion in the early 1900s. 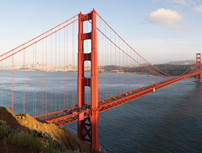 Loved by all who visit, no stay in the Bay is complete without a few trips to San Francisco. Be sure to check out the classic attractions such as the Golden Gate Bridge and Pier 39 / Fisherman's Wharf.